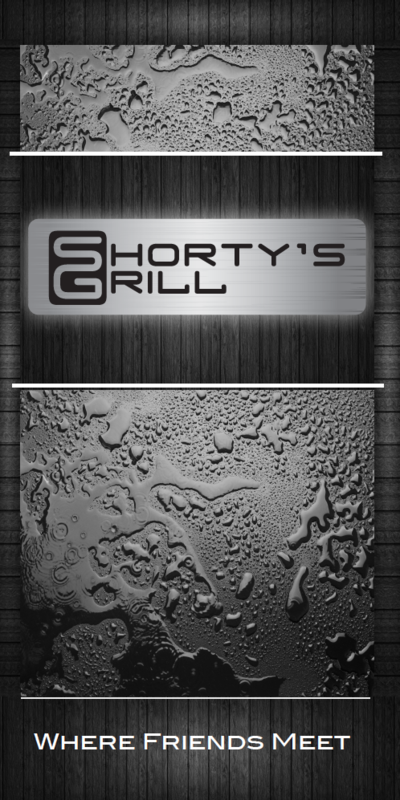 Since 1996 Shorty’s has been the area favourite for food and hospitality. We are known for our flavourful homemade food and comfortable, relaxing atmosphere. Your experience at Shorty’s will be one to remember. From the moment you walk in the door you are greeted with a smile and our friendly staff will raise the bar for exceptional service. 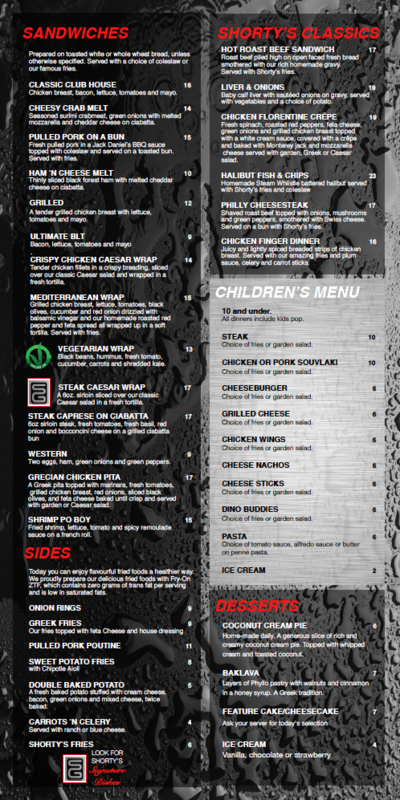 Our menu will have your mouth watering and leave you trying to decide what to order first! We have the largest selection of fine wines from around the globe, as well as a wide selection of fine Scotch and Whiskey. 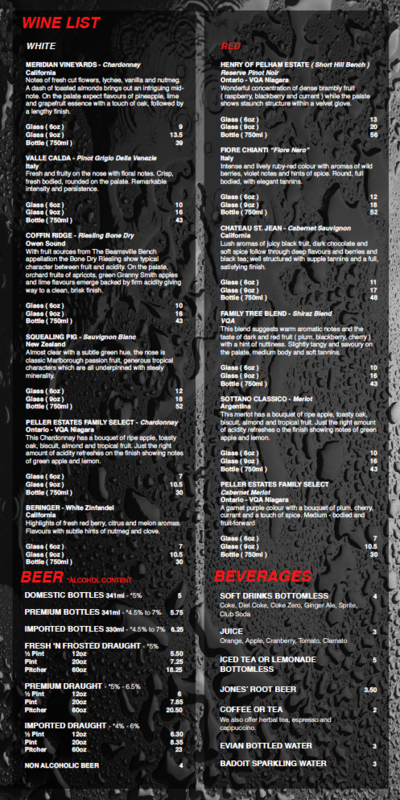 We also boast the largest selection of draught beer in the area. Whether you’re out for a business lunch, family dinner, out with friends for a drink, watching the big game on one of our big screen televisions, it will be an experience that will bring you back again and again. For a special event or party we also offer a private room to accommodate you.